Holiday homes perched on Noosa's Little Bay (photo: Elizabeth Allnutt). Full disclosure: as a first-time Noosa visitor I somehow arrived without expectations and, perplexingly, without a swimming costume. But my lack of preparedness was not due to a lack of awareness. Over the years I have unavoidably heard numerous recounts of Noosa holidays; plus stories from a friend who spent her teens pimping ice-cream to sun-dazed tourists on Hastings Street; and the usual observations of what the region is and isn’t compared to Byron Bay and the Gold Coast. Before my flight, I even jumped onto TripAdvisor (yes, I know) to check out what the largely disgruntled masses had to say. Invariably, there were complaints about overpriced knick-knacks, seniors clogging up the boardwalk, and streets swollen with day-trippers, all peppered with the disclaimer: ‘…but the beach is great’. Given that was all I had to base an assumption on, I chose to disregard everything. All I was left with were imagined visions of fabulously kaftaned ladies sipping Veuve Clicquot at sunset, and the inability to prevent myself from pronouncing Noosa with elongated vowels. In short, I arrived a novice and was immediately and wholly surprised. My first thought: ‘why on earth is this my first time?’ Followed by: ‘how could anyone possibly complain about this?’ Noosa is stunning. Dislocate, for a moment, from preconceived notions about Hastings Street (the source of the online ire) and the idea that it’s supposedly the holiday spot of the well-to-do. The simple reason people wind up here on repeat is because Noosa is an indisputable natural beauty. 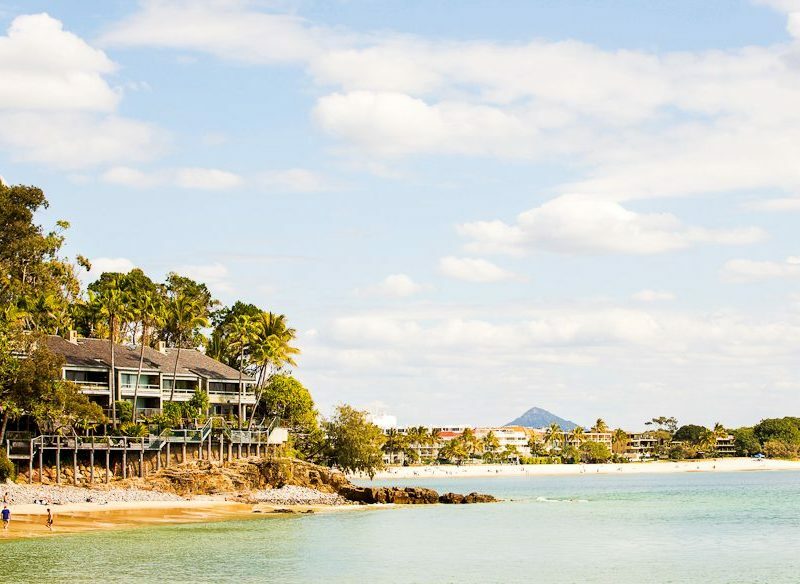 From the gentle, protective curve of Main Beach to the incredible Noosa National Park, the river, and a collection of inviting beaches, to say Noosa offers only a one-dimensional experience is a yawning injustice. A region, not just a town, Noosa is about to celebrate its second birthday as a shire all on its own after a period of losing itself within the conglomerated Sunshine Coast Region. This reforming of Noosa Council is significant in that it means the area can more easily be regulated for sustainability and protect the reasons both locals and visitors love Noosa. That means low-rise buildings, no traffic lights and ongoing conservation of native flora and fauna. 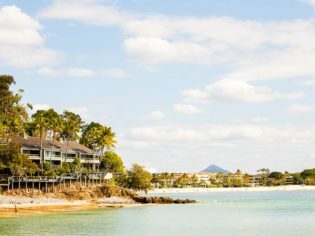 Having been recognised as Queensland’s first UNESCO Biosphere Reserve in 2007, Noosa is fiercely protective of its official paradise-on-earth status. A sure sign that you’re in a special place is when even the locals can’t believe their good fortune. Winding through the national park as the sun pushes up from the horizon dialling up the wattage on the soft dawn light, early morning exercisers, of which there are many, wave enthusiastically as I pass. Their wide smiles remind me of someone who’s woken up from a great dream, only to realise the dream is their real, waking life. Later, I stop by the Visitor Centre and find myself chatting to Jenny, a volunteer who speaks of her hometown as though it were an enduring romance. Jenny must hand out at least 100 brochures a day, repeating the same information, and yet her eyes are ablaze with tireless passion as she speaks about the many different types of holidays to be enjoyed at Noosa. Indeed, Jessica Rowe, a long-time Noosa devotee and the reason I finally find myself here, had expressed exactly that sentiment as we chatted over coffee one morning (read Jessica’s story). “I’ve been thinking about all the different stages of my life that I’ve been here,” Jessica said before launching into a list. “As a single girl; coming back with my husband, Peter [Overton]; then having New Year’s Eve here with my sister and her husband; coming back pregnant, and with my daughter, Allegra, as a weeny baby; then Peter and I rented a place at the end of Hastings Street when I was pregnant with (second daughter) Giselle. And now we come back with the girls… It’s almost full-circle.” Jessica tallies her Noosa trips at around the 14 mark and admits she didn’t tell her daughters she was coming for the Australian Traveller photoshoot lest they get upset. They did – and rightly so. To smooth things over with her girls, Jessica picked up a few little gifts on Hastings Street. Strolling the shopping strip, I’m glad to have ignored the Hastings Street cynics from TripAdvisor, despite the fact they’re absolutely correct. Unless you’re in the market for a plastic beach bucket, you’re unlikely to find a bargain. And, right again, due to its location parallel with the beach, it does get busy. Yet, I would argue that if you’re looking for a sleepy, cheap holiday, Noosa Heads isn’t necessarily going to be your ticket. Like most towns that become popular destinations thanks to their natural attributes, Noosa is making the most of it and catering to the clientele. You do get the sense there is pride in its cosmopolitan offerings, from chic boutiques to incredible restaurants, and while it still attracts and welcomes a wide range of holidaymakers, you will definitely find the kaftan and Clicquot set here. After all, it is the perfect place for both. That’s not to say Noosa is a town without a real soul, overrun by Prue and Trude types, families in matching Crocs, and retirees with small dogs. This is a coastal town like any other, with a surf club at its heart and a local population going about their lives in what happens to be a very popular holiday spot. And that does change things a little by elevating offerings to draw crowds away from other destinations lying in wait to snare sun-seekers, such as Byron and the Gold Coast. So the next time I come to Noosa, I will be prepared. Not just with a more appropriately packed suitcase, but with a knowledge that I am heading to one of the east coast’s most magnificent regions. And if that comes with a slightly higher price tag and a swathe of people who are here for the very reason I am, then so be it. Besides, I’ll need an audience for my new kaftan. Getting there: Both Virgin and Jetstar fly to Sunshine Coast Airport; Noosa is a 30-minute drive from there. Alternatively, it’s just under a two-hour drive from Brisbane.